Well the IQ report came today. Let me just say I love my daughter. I know my daughter. I understand my daughter better then anyone else in this world. So according to Makenzie's medical records she has now qualified for another diagnosis.......318.2 in insurance coding language or Profound Mental Retardation in terms everyone else will understand. Yep that's right my kid is jacked up (love ya Julie), developmentally delayed, spastic, quadriplegic, high toned, handicapped, a SPED, broken, brain injured, and now she is also profoundly retarded. I just despise all of the above labels the world has come up with for these beautiful human beings! For my beautiful Makenzie. Is my heart crushed. No not really. I already knew before I tore that envelope open how the world, especially the medical community, views Makenzie. In all honesty, I was hoping for low scores because words like "low" and "profound" equate to more services. However, just to set the record straight, the above words do not define who Makenzie really is and how she blesses this world. Makenzie is not Cerebral Palsy. Makenzie has Cerebral Palsy. She has issues with movement and language. Makenzie has a g tube and braces. Makenzie walks in a walker and runs in a wheelchair. Makenzie is Makenzie! She is AMAZING! On March 25th 2007, something unimaginably tragic happened to Makenzie, but my daughter, no matter how many names the world can come up with to call her, will always be my little girl. She will always be loved and I will fight to the ends of this earth to give her the best life she can have. So diagnose away because you will not break me and you most certainly won't break Makenzie. CES waiver here we come! I have been lurking for awhile and wanted to introduce myself. I am a first year osteopathic medical student (with a plan to practice pediatric neurology) who has learned more by reading your blog and the blogs of those like you about the difficulties faced by those with "special needs" than I could ever here in medical school. Thank you for not being afraid to tell the world how amazing your daughter is. I read these blogs so I can understand the children and parents that I hope to serve in the near future and so that others do not have to go through the hoops you have had to go through. You have an awesome attitude, not to mention an awesome daughter! I pray you remained blessed in all you do! You have an awesome attitude, not to mention an awesome little girl. I pray you remain blessed in all you do! Makenzie is so beautiful and so happy. Her happiness is the most important in my opinion!! Don't pay attention to that, they just need a label for the paperwork. 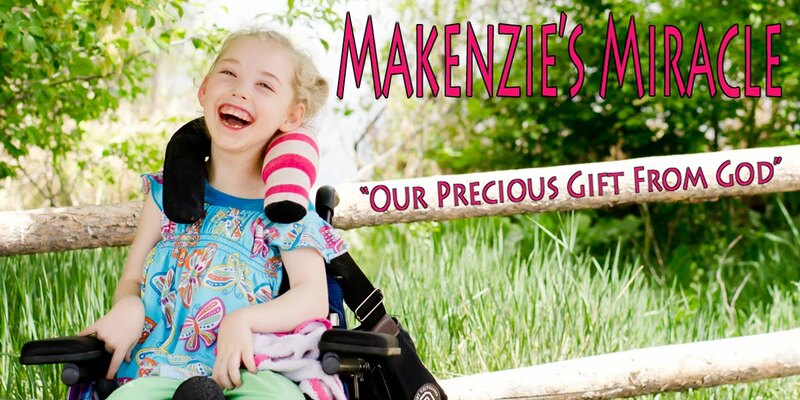 Mackenzie is awesome, just to see her smile all the time, shows that she has a great spirit and that she's happy and loved. My brother is autistic and he has gone trough many labels growing up, but the one I like the most is "brother". You just got to love them for what they are.